This product it is an accessory for the DRC Edge2 Tail Light, the Tail Light is sold seperately! 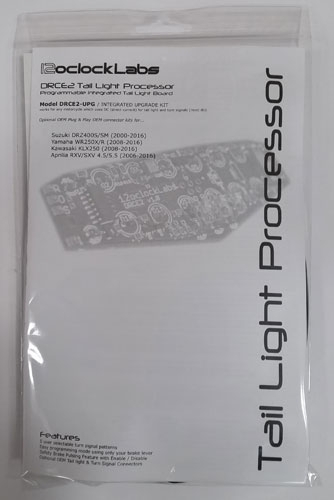 If ordering a Tailight + Processor Board, select your connect set at this page, Not at the tail light product page. This product it is an accessory for the DRC Edge2 Tail Light, the Tail Light housing is sold seperately! 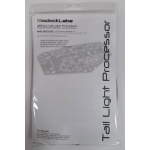 This unit gives programmable integrated turn signals to the Edge / Edge2 tail light, as well as safety brake pulsing, a drop in replacement for the OEM led board. 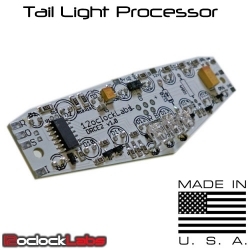 The upgrade board is designed to replace DC voltage tail lights (most are DC). 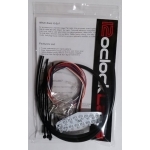 If your tail light operates from AC voltage, you can move your tail light supply wires to be feed after the regulator / rectifier on your motorcycle, or add any aftermarket voltage regulator / rectifier. 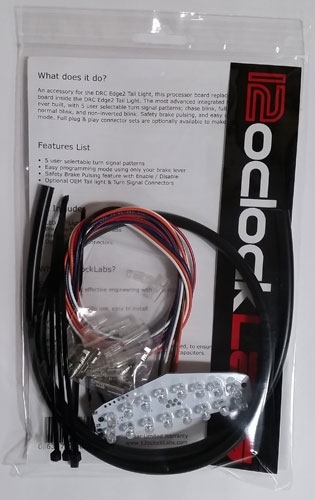 Note: If you order this with an Edge2 tail light, select your OEM connectors here, and do not select any with the Edge2 tail light. Install Note: Even though this product provides integrated turn signals, that functionatility does not have to be used. Also the product can also be used with external signals, and provides patterns to sync with the blink rate of external signals. Pre-Install Note: When ordered with a tail light and OEM connectors, everything can be pre-installed for you before shipping, just select the pre-install option above. Please do not select the pre-install options if you do not have a tail light with this order, since there is nothing to pre-install into.